Martin Scorsese, the mastermind filmmaker behind movies such as Goodfellas and Taxi Driver, has been making a splash in Hollywood since his first big hit in the 1970s. 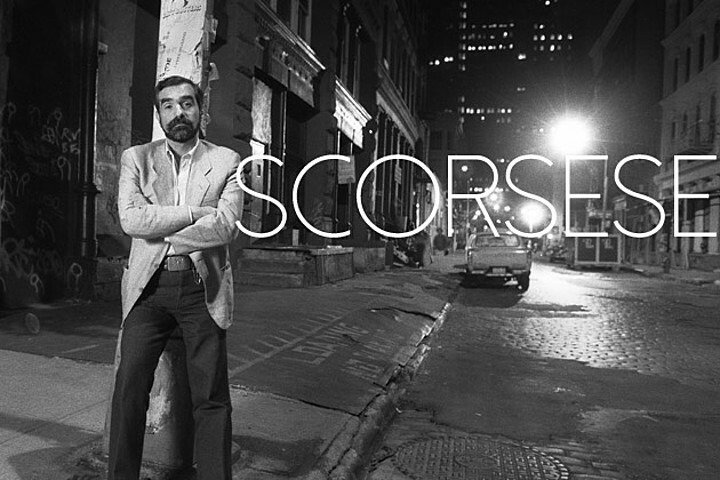 With over 50 directing credits to his name, Scorsese is known for his depiction of gritty New York and mob culture. If you’re wondering where to start with his catalog, don’t miss these five Martin Scorsese films. The first film that really brought Scorsese into the limelight was Mean Streets, released in 1973. This movie explored themes of good vs. evil, Italian-American crime culture and the dangers of self-destruction. Starring Harvey Keitel and Robert DeNiro, it’s a film school classic. This award winning film, also starring Robert DeNiro, is a psychological thriller with a complex and increasingly violent main character. This movie also saw the breakthrough of popular actress Jodie Foster at the young age of only 14. Taxi Driver received multiple awards and is now lauded by critics as one of the best films of all time. Martin Scorsese has several acting muses, and Robert DeNiro is certainly one of them. Yet again, DeNiro stars in a Scorsese film – this time as an up-and-coming boxer in New York City. This black-and-white sports drama is often criticized for its depiction of violence, but ultimately won the hearts of critics and was the first film inducted into the National Film Registry. Scorsese’s most popular and famous film is 1990’s Goodfellas, a crime drama that spans several decades and was eventually nominated for six Academy Awards. Starring Joe Pesci, Ray Liotta and – you guessed it – Robert DeNiro, Goodfellas brings together themes of gambling, organized crime and the dangers of the drug trafficking. Playing off the success of Goodfellas, Scorsese made another hit about gambling and casinos with 1995’s aptly-named Casino. This film, starring Sharon Stone and regulars Joe Pesci and Robert DeNiro, chronicles the epic career of gambler Sam “Ace” Rothstein, who is sent to a casino as a handicapper. Scorsese has seen a prolific and exciting career as a director and producer of some of Hollywood’s most famous (and gritty) films. In fact, his first film in three years (Silence) debuted at the end of 2016. It’s safe to say we haven’t seen the last of this talented artist. Hellboy released in 2004 was a supernatural adventure directed by Guillermo del Toro. Mike Mignola’s popular Dark Horse Comic series was the inspiration behind it. The film was able to create quite a bit of hype even before it was released and it was possible thanks to the concept of a “different” Superhero. Lets take you through our Hellboy movie review. It is a story of a demon that was created by a secret Nazi agency and the process was halted by Professor Bruttenholm. Later this creature named Hellboy (Perlman) becomes the highest rated employee of the Paranormal Research and Defense Bureau of the US. Suddenly an evil demon called Rasputin rises with a mission to immolate the earth. He kills the professor and Hellboy becomes the last hope for the humanity to save the world. The best part of this comic book adaptation is the director has managed to keep the essence of the story intact. Guillermo has done a good job of keeping the tones and colors of the comic series. The film looks quite different from the regular superhero films. 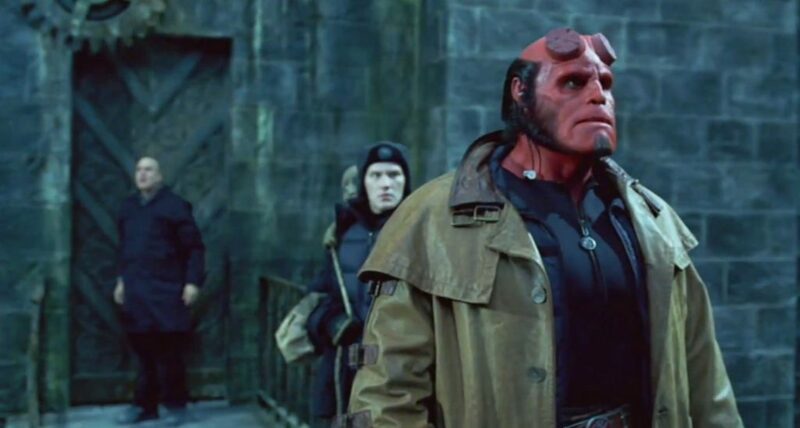 Though Hellboy is not a popular superhero like Spiderman or Superman, but Guillermo and his antihero Hellboy catch the interest of the audience quickly. The film starts its journey into the shades of the World War II, but soon it jumps to the present day where we get to meet the rugged, red skin giant Hellboy. We also get to know that the professor is the closest to him and this different looking superhero has a crush on his fellow agent Liz (Blair) who also has her own supernatural powers. Apart from the main struggle of the good and bad we meet many other characters and different situations unfold. The director also introduces a normal guy who is Hellboy’s fellow agent and likes Liz. This develops a love triangle between them. We also get to see many different kinds of relationship and shades of the characters as the happenings occur. Del Toro has tried to keep the Hellboy very much human in terms of his emotions. It could have easily been a super charismatic character who has great power, but thanks to the director and the actor Hellboy is much believable and normal. On the other hand, Jeffrey Tambor adds good humor and supporting turn through his character as the Boss of the agency. Blair does a good job with her limited space and Hurt shows his acting skills by adding emotional sparks in different scenes. The problem is the best thing about this film is also the drawback of this film. Del Toro’s approach to keep the happenings low profile stops the film from to hit the right emotional chords. The characters are quite believable, but sometimes they lack the emotional leap to make the scenes more dramatic. Overall, it’s a very good attempt on this different genre of superhero and comic series. It has received a good amount of critical response and most of the common viewers have liked it. There is no doubt that it deserves a sequel. Fear of the Dark is one of those rare independent horror movies that successfully scares the viewers with some quality direction and decent acting. In fact, it is one of the best independent horror movies you would come across and our Fear of The Dark Movie Review will explain why. What is the thing that makes a movie scary? The answer is the “Surprise” and this element of surprise is very much dependent on the cinematography, sound, and expressions of the actors. The Director K.C Bascombe does a respectable job by using all the film-making elements efficiently. He treats the story with a gray tone that is always indicating something creepy and unknown. The best parts of the movie are mostly the result of well thought out directorial work. The story is about a boy named Ryan Billing who is afraid of darkness and his elder brother Dale doesn’t believe him at all. Then, a day comes when their parents leave the house for one night and the Dale finds out the horrific truth behind his brother’s claims. The lead pair of the two brothers, Dale (Kevin Zegers) and Ryan (Jesse) is the backbone of the cast. The other characters also do the job professionally. The acting is a big factor that many have found this movie worth watching. The acting and the characterization helps the movie to keep its pace. The actors also maintained the creepy atmosphere of the movie. This film is a good example of how good teamwork can make a low budget film successful and worth watching. The basic story revolves around the family of Billings. This is why the director has tried to give more focus to the family members. The camera hides more than showing and this is one of the primary conditions of making a good horror movie. The colors and the costumes show the thoughts behind those and help the cinematography to make the visuals interesting and dark. The actors give well-tuned performances to make the film smart. The storyline is a big factor and also the driving force of the film. In some parts, it becomes predictable, but mostly holds the attention of the viewers. The director also breaks the linear story and creates interesting moments through the brilliant use of tempo. The environment is very well created by the director and he has given all the help to actors to behave rightly. The art direction and the use of different objects also give the film lifts in different parts. Such objects created new shades and artistic visuals. The main problem of the film lies in its predictability of the story. Many times you may feel that the incidents happening are quite obvious. This kills the surprise element and the hard work of cinematography goes in vain. At some parts, you may also feel that the directorial work is a bit sloppy and drags the pace of the film. If we take out those few flaws, this film can be termed as one of the most watchable horror movies of the last decade and we would definitely recommend this horror flick in your “must watch” list. We the movie buffs love to get scared and as the year of 2016 has ended, we would love to give you a list of the best 2016 horror movies . There have been quite a few horror movies to watch this year. Some did well and some fell far behind the expectations. In this list, you will get an idea about the best of this year. It is one of the most acclaimed horror movies of this year. The film has a great concept and some major twists to set the tone. The brilliance of Stephen Lang also makes this film worth your time. The interesting approach of the storytelling will give you chills as if you are there with the killer. The smart editing makes the films fast and gives us chilling experience in different scenes. This film surprised everyone and went on to make a $150 million that can be really termed as high if we consider the modest budget of $10 million. The film is made with only $1 million and one of those small budget Netflix release. It has a small cast but does the job scaring you. Kate Siegel steals the show with a brilliant performance and makes every moment interesting. The movie is devoid of most of the horror movie clichés and the protagonist and the decisions give it a more realistic feel. With very less dialog the actions do the job of taking you to the edge of your seat. The film has a slow but steady way of getting on your nerves and the approach really works. We can assure you that you will find a hard time in the night while going to your bathroom. This is a sequel and surprisingly it is wonderful if you compare it with the first part. The film uses simple and used norms and styles of horror films, but those tricks work. The results are wonderful and it is mainly because of the wonderful writing and some great performances. The film is doing very well and earning a good amount of money. The reason behind this success is the believable character who strikes the right chords to keep the story engaging. It is not only a great film in the horror genre but in any genre. This story of three people inside a bunker wondering if the world is there or it has ended is a treat for movie lovers. The great cast and surprising twists make this movie a piece example. The actors and their performances make every scene thrilling and emotionally engaging. It shows that every scene is well planned and hits goal. The film has earned a whooping $108 million and was made with a budget of only $15 million. This is not only one of the best 2016 horror movies, but it is one of the best horror films of the last decade. This is one of those rare horror films where the performances of the actors are worth Oscar nomination. Anya Taylor-Joy, Ralph Ienson, Kate Dickie all gave one of their best performances ever. There are many things to praise in this film. All the aspects are very well executed and has made it one of the best horror movies of all time.